The Impact Programme is supporting Capria Venture LLC to build the capacity of support intermediaries through developing a curriculum of in-person and online interactive training to support the up-skilling of entrepreneurs in developing countries. 1. 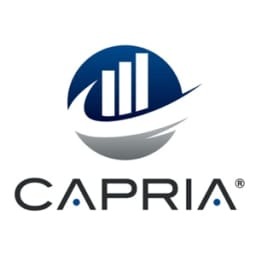 Support Intermediary (SI) Training – Capria will develop a train-the-trainer programme which will provide the tools and training for SIs, including incubator and fund managers, to help them support start-ups and small and growing businesses (SGBs). Online modules will be supported by in-person on-boarding workshops and regular global online seminars by the VentureBasecamp leadership team. The online forum will be used to adapt the programme according to participants needs, for example running additional webinars in response to community questions. 2. Startup-Entrepreneur Skills Development – Capria will create an online learning platform for start-ups and SGBs which will include foundation training to familiarise entrepreneurs with basic business concepts and a self-assessment, which will serve as a baseline of progress and a tool to direct entrepreneurs to the most relevant content for their needs. The entrepreneurs will principally be recruited through SIs who will provide in-person support to entrepreneurs to complement the online training. 3. Train-The-Mentor – Capria will provide a framework and training for mentors supporting startups and SGBs. VentureBasecamp will partner with SIs to identify mentors, align their skill-sets to a businesses’ needs and provide training to upskill them. Support Intermediaries will be better equipped to support Small and Growing Businesses based on the VentureBasecamp training they complete and the materials they access. The ultimate goal is to create a healthy pipeline of investable, impactful SGBs as SIs provide more comprehensive support in DFID target regions. The Impact Programme has provided support for Village Capital’s work to build the capacity of entrepreneur support organisations (ESOs) in Sub-Saharan Africa. This initiative, VilCap Communities, focuses on ESOs which have the highest potential to support investment-ready, early stage impact enterprises who are looking to solve problems faced by those in poverty. Ultimately, it aims to catalyse impact investment in the region. The VilCap Communities initiative, launched last year with 26 pilot communities across the world, has representation from the United States, Sub-Saharan Africa, Latin America and Southeast Asia. This pilot programme was designed to share best practice and increase the investment readiness of early stage impact enterprises by answering the question: what works in entrepreneur support? This programme is aimed at expanding the VilCap Communities work within Sub-Saharan Africa. The selected accelerators, incubators, seed funds and other entrepreneur support organisations from Sub-Saharan Africa will receive a curriculum and training to yield better outcomes for entrepreneurs and the customers they serve. Village Capital will equip intermediaries with curriculum and content to facilitate their own programmes for enterprises in their ecosystem to become attractive to investors. Programme resources such as the curriculum and content will be delivered in a comprehensive “one stop shop” on how to run effective accelerator programmes to make early stage companies investment ready. The intended impact is to increase the capacity of ESOs across Sub Saharan Africa, which in turn will lead to more deal flow for impact enterprises addressing countrywide or regional problems, such as financial inclusion, agriculture, healthcare, environmental sustainability and others affecting those in poverty. Village Capital will achieve the impact by identifying and equipping 15 ESOs in the region to deliver effective training and development for their community of entrepreneurs to become investment ready. The programme focuses on specific lessons for ESOs to find, train and invest in these enterprises. The Impact Programme part-funded an FSG study which aimed to develop a robust foundation of understanding the need and opportunity for impact investment and represent models that could be replicated in different markets and sectors. The focus of the study will be on impact investing and impact enterprises in low- and lower-middle-income parts of Sub-Saharan Africa and South Asia. The intention is also to work and demonstrate relevance across a range of different vertical enterprise sectors, such as food, housing, energy, water, sanitation, health, education, financial services (beyond microfinance) and improved livelihoods for the poor. The study aimed to identify and synthesise learning and best practice by looking into models and markets that represent opportunities for scaling out. It looks into ways in which the different approaches of scaling out could be effectively operationalised by addressing different questions that respond to the extent of which the original pioneer is an important success factor in scaling out the ecosystem barriers resourcing needs (i.e. entities, team, capital). The study intends to drive greater experimentation, learning and improvement around two key areas of intentional practice. This includes company building and diffusion of knowledge, as well as influencing wider sectoral evolution in impact investing by leveraging this greater momentum, insight and evidence. The Impact Programme is working with Aspen Network of Development Entrepreneurs (ANDE) and Endeva to help address the lack of market information for deal making in the impact investing sector. Together, ANDE and Endeva (in cooperation with GIZ’s Inclusive Business Action Network (IBAN) and the Practitioner Hub for Inclusive Business) aim to address the lack of connections between investors, capacity development providers and investees that hinders the effectiveness of the impact investing sector. They will do this by creating a searchable, online database for inclusive business entrepreneurs. This database will provide information about the financial support and/or technical assistance that is available to them. They will also produce ecosystem maps detailing the strength and weaknesses of certain markets in six of DFID’s target regions in Africa for entrepreneurs looking for insight in to the existing ecosystem. Armed with better information, entrepreneurs, intermediaries and investors – whether they support inclusive businesses or small and growing businesses (SGBs) – can work together to address gaps hindering the growth of impact investing in emerging markets. A major challenge that inclusive business entrepreneurs face while trying to scale their businesses at the Base of the Pyramid is the difficulty in accessing crucial financial and technical support. The development of an easy-to-use and comprehensive, online database of organisations providing such support will help to reduce the amount of time and resource entrepreneurs spend identifying opportunities for support. At the same time, organisations providing business support services or investment in SGBs often do not have clear insight into who is providing complimentary services or investment in a given country. To provide greater market intelligence for these intermediaries, ANDE will develop six visual snapshots of entrepreneurial ecosystems which will serve as visual maps for stakeholders to see where there are gaps and opportunities. As a result, they can be used as a discussion tool for stakeholders to identify ways to work more collaboratively to support local entrepreneurs.